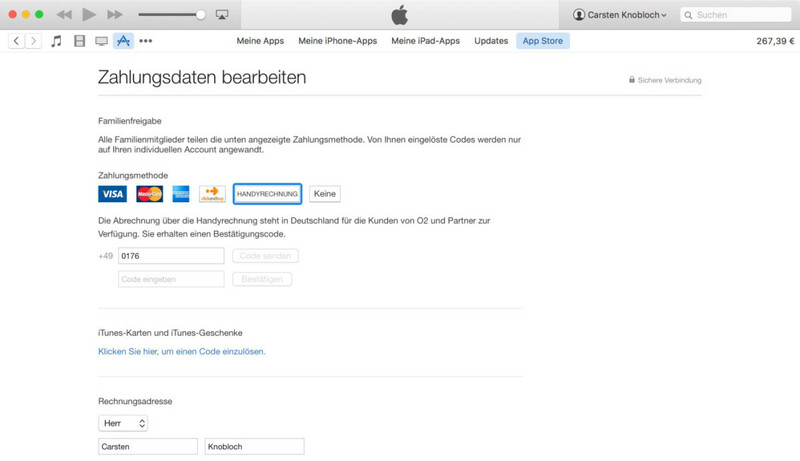 Apple is finally playing with allowing you to charge your iTunes purchases via your mobile carrier for the first time, as it was spotted in action for O2 customers in Germany. According to Techcrunch, the new option appears in iTunes on desktop and mobile, offering the ability to pay for purchases directly via your carrier instead of a credit card or bank account. It can be used for Apple Music, iTunes, App Store and iBooks Store Purchases, even if they’re recurring subscriptions. For countries where credit card ownership isn’t particularly high, the feature is a godsend, making it easier to buy apps and other paid content directly rather than needing to pay via gift cards. Google already offers carrier billing across multiple countries for Android users, but Apple hadn’t made it available previously. Apple hasn’t responded for comment on the new feature and hasn’t made a public announcement about whether it’ll roll out wider in the future, but it’s the first time the company has shown an interest in carrier billing, signaling a potential future rollout in further countries.